So it’s here: the last A.S. Council meeting of the quarter. It began with a roll call and a mention of food time. Speaker Mehyer, with the help of VP Campus Affairs Amber Hawthorne and AVP Iris Delgado, brought Persian food to celebrate Persian New Year. It smells wonderful. The former Engineering Senator, Salman Alrashed, spoke during public input. He said he was speaking as a friend to council members, and that what happened during last year’s elections was mild. According to Alrashed, a Buzzfeed article was recently posted that discussed “Why Not to Vote for Tritons United.” He also said that the article contained links to Campuswide Senator and Tritons United candidate Joey Giltner’s old Facebook posts. Alrashed stated how candidates can run a $1,800 campaign and that the elections are not “House of Cards.” He emphasized how social media shouldn’t be used to smear campaigns because it can ruin someone’s life. Revelle College Council President Soren Nelson later announced that this is his last A.S. Council meeting since he’s graduating this quarter. He discussed how Council has helped him grow and how lucky he’s been to have been in the presence of council members. AVP Concerts and Events Seraphin Raya said to be on the lookout for the Sun God Festival website, which goes live next week. Next, Council moved to special presentations. AVP Raya and Mehryar held a presentation about the Persian New Year. This was followed by a special presentation from VP Finances Igor Geyn regarding the financial state of A.S. Council. Geyn said the purpose of the presentation was to provide transparency for the financial status of A.S. The presentation showed the percentage each A.S. Council office has spent of its budget. Geyn stated that he would have a more in-depth presentation next quarter. This was followed by a question and answer session with council members. Afterwards, Council discussed an amendment to a potential Associated Students Campus Activity fee, aside from the new UCEN referendum. Geyn and President Robby Boparai came to a consensus to reduce the fee down to $9.24 from $13.63. 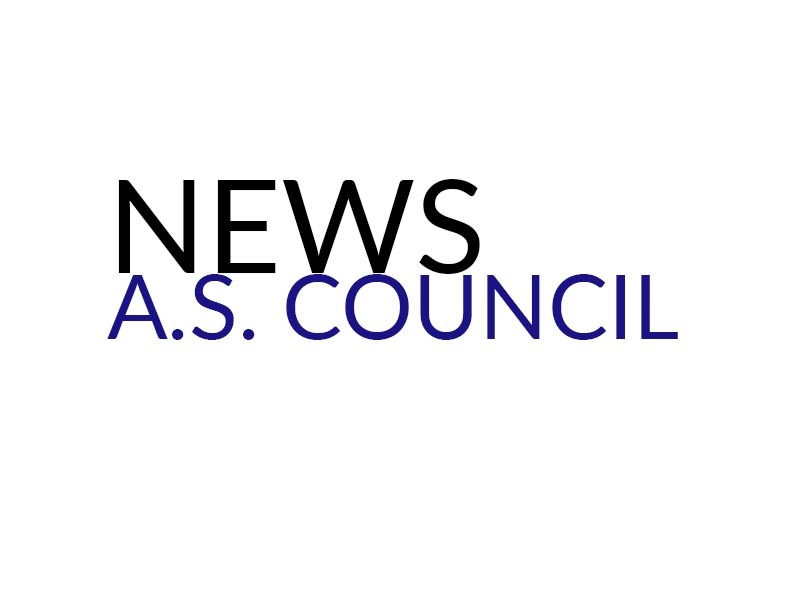 Boparai said the fee was decreased to ensure that the fee would cover the barebone cost of running A.S. Council; future Councils could decide if a higher fee was necessary. That items that were cut included student org and A.S. Concert and Events funds. AVP Austin Peters asked whether the lower amount is enough for student org funding. Geyn said the original, $235,000 was a placeholder amount for student org funding, while $75,000 is an amount he could comfortably justify. Geyn doesn’t have the research to back up more spending than $75,000. AVP Student Org Tristan Britt asked about whether the decreased ASCE funding would be enough — Geyn said he and Raya deliberated and came up with that number. There was a call to question and the overall amendment failed. Then, there was debate about the referendum. AVP Sierra Donaldson proposed adding a bullet point to the fee referendum language denoting additional administrative support. There was debate over whether the item was necessary for Council to be transparent. That amendment failed by a vote of 8–10–2. AVP College Affairs Travis Miller also proposed amending the amendment to reflect how the fee will be spent in terms of percentages. The amendment passed by a vote of 10–6–3. There was a 10-minute recess at around to further discuss the language of the amendment, but I left. See you all next quarter! Good luck on finals, everybody! Later that night I was told the final language passed by a vote of 8-7-3. However, bylaws state that two-thirds of council had to vote for the referendum to appear on the ballot and but there weren’t enough voting members present to approve the change.